After a very long absence I am finally posting a new mix. I started a new job in January, so the past several months have been insanely busy. But the last few months have really brought a sea change in my life as well. My last two mixes really reflected my mood at the time. But, just when I thought the desolation and rain would last forever, things suddenly changed for the better. I feel like I have a whole new life. So, take it from me…don’t give up hoping. Change CAN occur. It just usually happens when you least expect it! Given my improved mood, I wanted to put something together that echoed it. 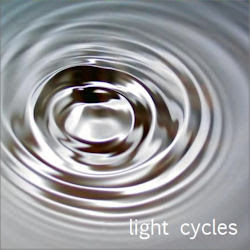 light cycles is the result. The original idea was to do another “Sunrise” mix. But I quickly discarded that because I felt it was too limiting. I love repetition in music–-music that uses the constant repetition of notes or themes or sounds as a basic structure to the composition. Modern composers like Philip GlassSteve Reich have based most of their compositions on musical repetition. Berlin-school groups like Tangerine Dream have used sequencers since the early 70’s to great effect as an integral part of their music. Ambient music also has a strong component of repetition in it. Many of the ambient works by Brian Eno (Music for Airports, Neroli), for example, use repetition. I wanted to put together a mix where all of the pieces used repetition as a major part of the cut. I also wanted to use pieces that had an “ambient” feel to them but that also were bright or upbeat. The title of the mix was inspired by the movie Tron. light cyclesCan. The Can piece Future Days and starts out fairly slow and quiet but becomes more vibrant as it goes along. Near the end it almost rocks out with an amazing piece I stumbled across by uses repetition to great effect. This piece is also cool because it was done back in 1973 but still sounds amazingly contemporary. I hope you enjoy light cycles. Like the last several mixes it is somewhat of a departure from the typical ambient drift and drone but I think it still evokes “ambient-ness” throughout the piece. Let me know what you think. Bright times are ahead for the Hydrogen Cafe–and for me as well. While I was gathering music for the Desolation Angels mix, I was originally going to have both vocal and instrumental tracks. Once I started putting it together, however, I felt that having a mix of just instrumental and operatic cuts was best. 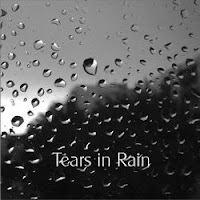 So, I decided to put all of the vocal tracks left over from Desolation Angels together in their own mix which became Tears in Rain. It was actually fairly difficult to find tracks that had both sad lyrics as well as slow, somber backing music. Although somewhat of a departure from my other ambient mixes, I think the sad and melancholy mood I was going for turned out pretty well and the mix serves as a nice companion to Desolation Angels. The title is taken from the film Blade Runner. I hope you like it. This mix is also dedicated to my friend Katie, gone too long. Greetings, felicitations and a Happy New Year to all! I wanted to express my sincere thanks to everyone who has taken the time to download and listen to my Hydrogen Cafe mixes. The response I've gotten since I started this has been humbling. I also appreciate everyone who has taken the time to e-mail me or post a comment. They are greatly appreciated! Best wishes to everyone for the new year. 2007 wasn't the best year, but it ended on a high note. 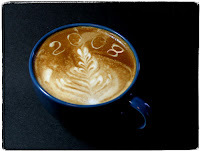 Here's hoping that 2008 will be great for all! I also wanted to highlight a few mixes that have been posted recently by some friends. My friend Dave over at Low Light Mixes has been a busy bee and has posted several excellent mixes. Please go over and check out drown the world in reverberation and his Best of 2007 mix. They rock in an ambient way! Also, my friend Lord Sherwell from London has posted his own Best of 2007 mix called Music for the Dead Days. Check his mix out as well! Take care everyone.